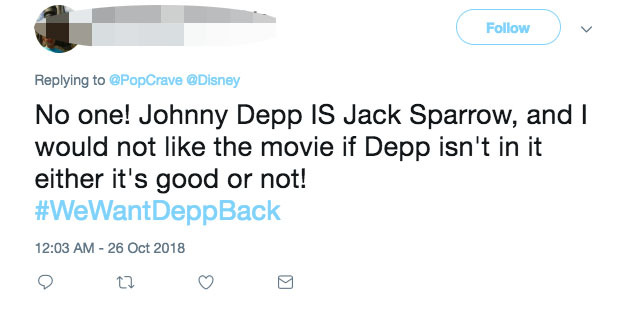 As news of Johnny Depp’s departure from the Pirates Of The Caribbean franchise continues to sink in, many people are calling for a big change. 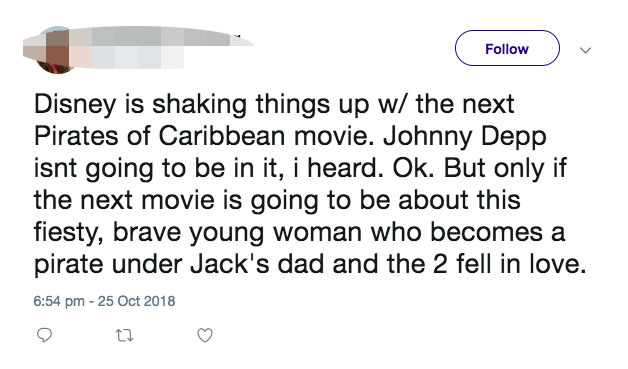 Namely, they’d like to see the film’s reboot feature a woman as the lead, either as a replacement Captain Jack Sparrow or as a new character entirely, to helm the future of the franchise. 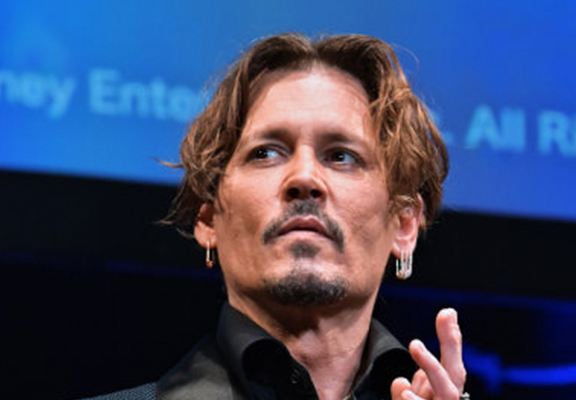 Depp has been the lead role in the hit film series over the last 15 years, but it seems Captain Jack has had his last outing on the Black Pearl. It’s also been reported the writers behind Deadpool are in line to take up the Pirates Of The Caribbean mantel, as Rhett Reese and Paul Wernick are in ‘early talks’ with the studio behind it. Naturally, thoughts are on who could fill Jack Sparrow’s sizeable shoes. 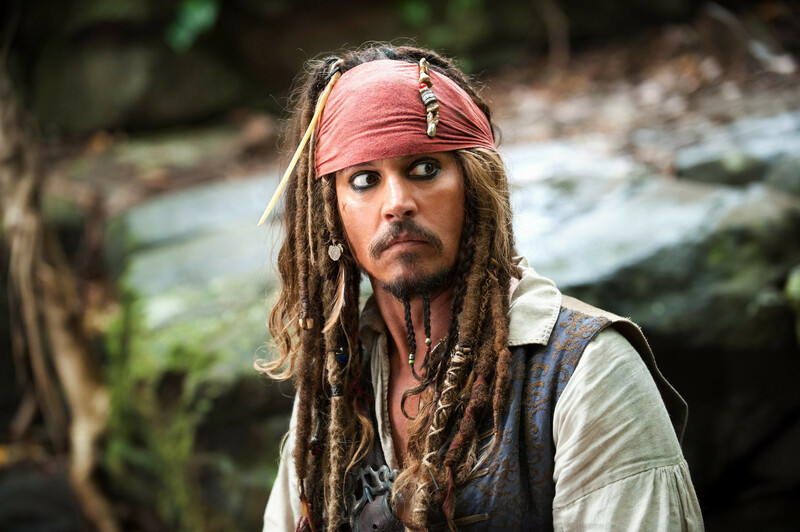 Although the actor has faced criticism in recent years, the pirate is by far one of Depp’s most iconic and well-loved roles. I think he’s had a great run. Obviously he’s made that character his own and it’s become the character he’s most famous for now. And kids all over the world love him as that character so I think it’s been great for him, it’s been great for us, so I’m just very, very happy about it. I think Jack Sparrow will be his legacy. It’s the only character he’s played five times, it’s the character he dresses up in to visit children in hospitals, it’s what he’ll be remembered for. Before Jack Sparrow came along, [Depp] was considered this kind of quirky, independent actor that made these really cool little Tim Burton films, but he was by no means a movie star and a lot of people thought we were crazy for casting him at the time. Because he wasn’t a proven commodity; you know, a big movie star. And we were making a big movie and we were putting this quirky, independent actor in the middle of it and people thought we were crazy. The fact that it worked is a miracle. They were certainly nervous watching the rushes everyday but when it all came together, something just clicked and it was magic and connected with audiences. I’m proud to be a part of it. Although it may be an initial loss for the Pirates Of The Caribbean franchise, with the Deadpool writers on board, it could also prove to be a very exciting time. As for Depp fans, there’s always Fantastic Beasts to look forward to.